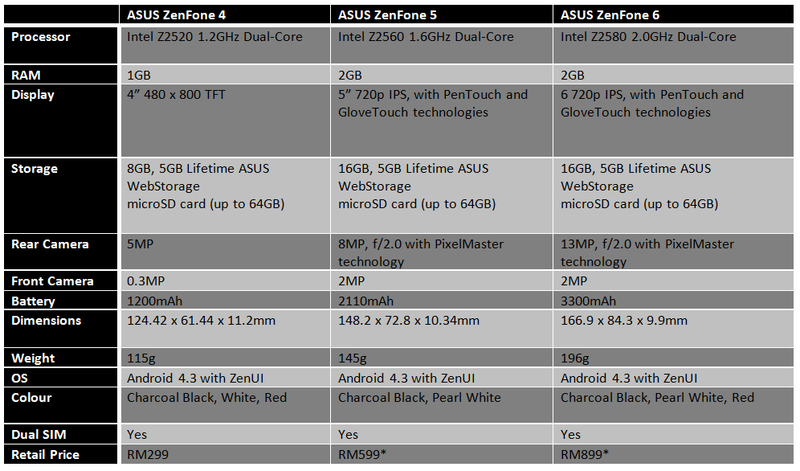 [Update] The table for the hardware on the ZenFone models have been updated to reflect recent changes to the variants available in Malaysia. 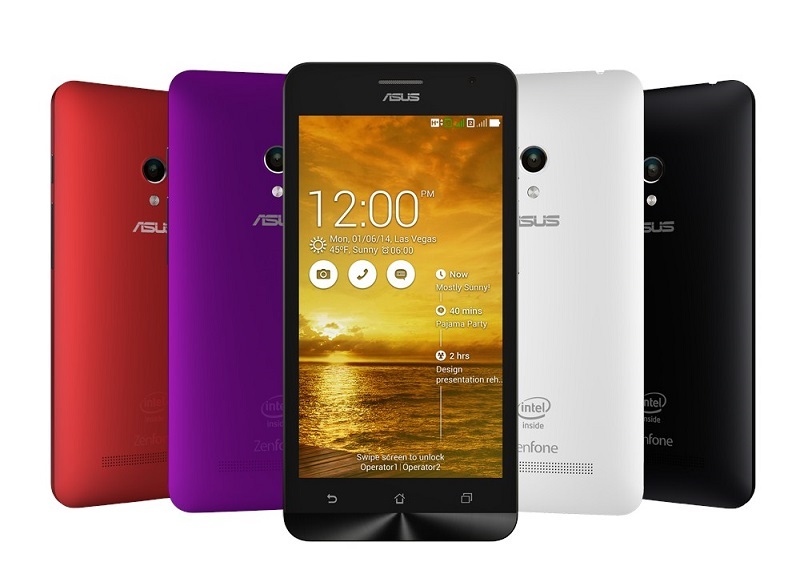 Yesterday, ASUS finally launched its new ZenFone range of Android smartphones in the Southeast Asian region. Powered by Intel’s Clover Trail+ range of processors, these smartphones take the word “budget” and “affordable” to new low levels. With retail prices starting from only RM299, the new ZenFone 4, 5 and 6 could well be the smartphones to watch. Edit: Table updated with correct info on ASUS ZenFone 4’s storage. It is 8GB, not 4GB as earlier shown. 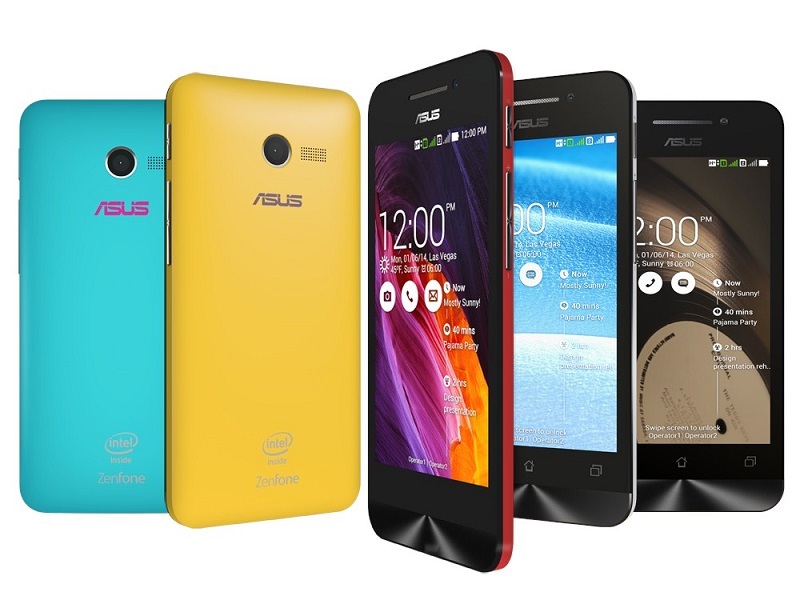 As can clearly be seen, the new ASUS ZenFone series offer excellent value for money. 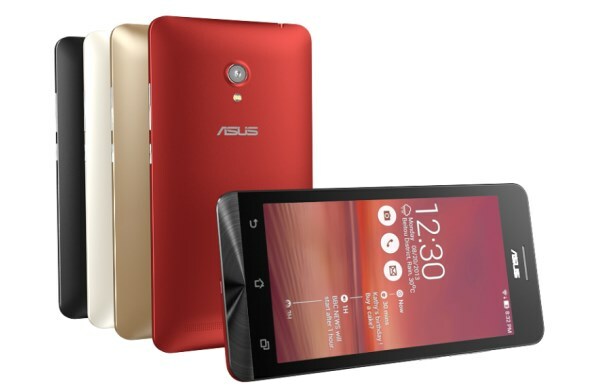 The ZenFone 5, in particular, stands out with its 8MP f/2.0 camera that has PixelMaster technology. There’s a Low Light Mode, which ASUS claims is able to boost light sensitivity by up to 400% and colour contrast by up to 200%. Part of the reason it can achieve this performance is by pixel binning, where four neighbouring pixels and the information it carries are combined into one, therefore shrinking the maximum resolution to just 25% of the original 8MP. Does it work as advertised? From our quick image comparison here, it seems that it does…and very impressively so, too. On the other hand, there is virtually no other smartphone in the market that offers the same specs as the ZenFone 4 at a price of only RM299. Lenovo’s 1-year-old A390 (RM299) offers a similar 4-inch screen and 5MP camera, while the newer A516 (RM399) sports a sharper 4.5″ screen, but both use MediaTek processors and have only 512MB RAM. Finally, there’s the ZenFone 6. At a retail price of RM899, this phablet offers excellent value for money once more. The ZenFone 6 also offers PixelMaster technology with its 13MP camera, allowing you to capture some pretty impressive low-light shots. One question mark that will remain for now is with the use of Intel chips. The Clover Trail+ dual-core processors come with hyper-threading technology, giving it four virtual cores that should give it better processing power. On the other hand, battery life is also an issue that will be answered once the ZenFones are available here. If the Lenovo K900 is any indication, there shouldn’t be much to doubt. Regardless, the new ASUS ZenFone series is another welcome addition to the local smartphone market, offering impressive hardware at prices that were previously only meant “good enough”. After the success of the Motorola Moto G, the arrival of Oppo and soon Xiaomi, and now ASUS and its ZenFone, we’re in for some pretty exciting times for the local smartphone market.